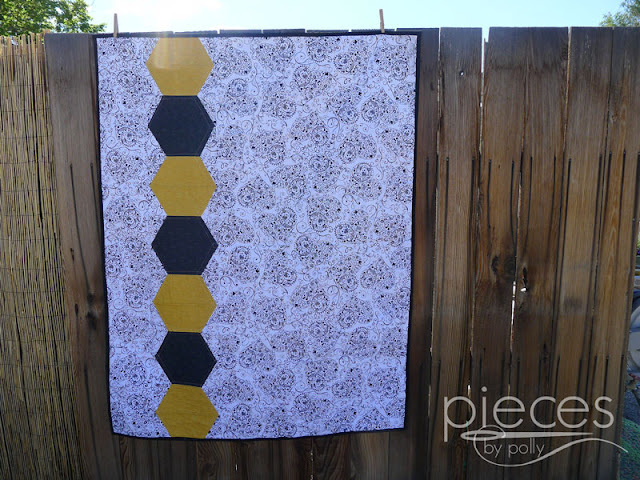 This lesson will teach you how to make trim and make a pieced back to complement your Giant Hexies Quilt. Thanks for your interest in the Hexies by Halves Quilt-Along. 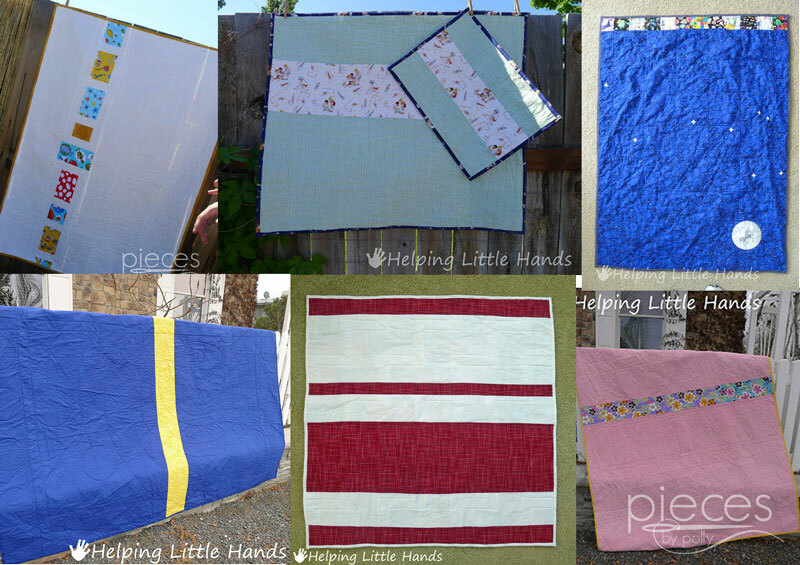 Our quilt-along ran from July 8th through August 30th, 2013. 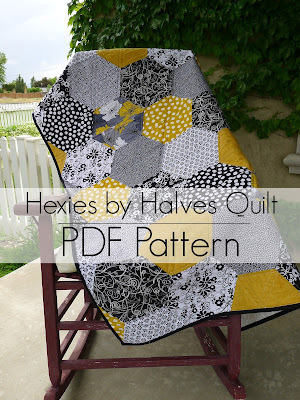 You can now find the full Hexies by Halves PDF Quilt Pattern in my shop here. 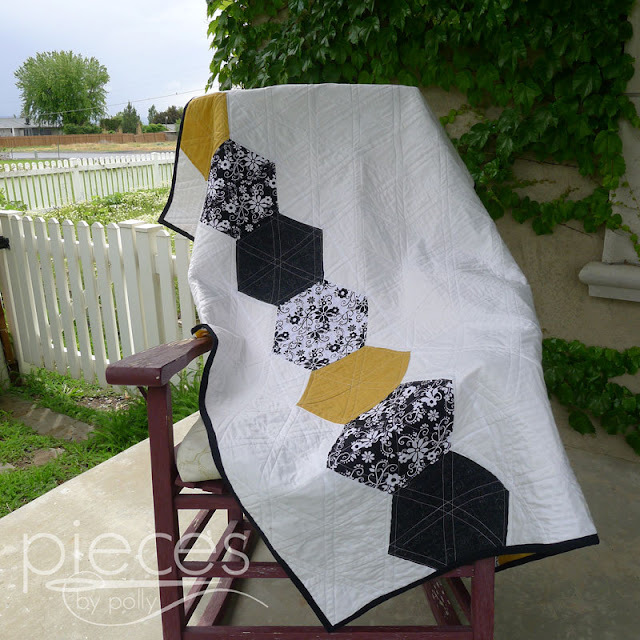 If you'd like to see a sample of the quality of my instructions, I have left Lesson 6 - Binding Your Quilt available for free here. I'm going to have to go shopping for backing. I've been thinking and I 'sort of' know what I want ... which of course is usually a bad thing because then I sometimes don't 'see' all the other options that may be better. Anyway, like you, I live forever away from a fabric store, and even then it's not a great one. So it may be the weekend before I get fabric. But that's ok, I'll be saving these posts and catch up with you. I'm worried about what to pick out for backings as well. My 13 year old wore through his baby blanket/quilt, and my 11 just finished off his. I suppose since I didn't know what I was doing, that's a long time to last but still...when he came asking if I could "just sew up the holes" I laughed - the whole backing is literally just threads :( I plan on making a grown up throw/quilt thing that will *hopefully* last for a L O N G time. I'm still sewing my top together but read through this post. When cutting strips for the "almost" triangles I assume you mean 4 5/8" not 5 5/8" just as we cut the strips for the top? I'm doing the 1/4 yard cut option so will be cutting my strips for those "almost" triangles 4 3/8", is that correct. Thanks again, will send a pic of my top as soon as it's sewn together. Loving it! I'm still working on the top, as well. My youngest decided that it was super fun to run through my pieces laid out on the floor. So I've had to wait on sewing until he is asleep! It's coming, though! I've got the rows done, now I just to iron them and sew the whole top together. My favorite backings are the old sheets. They're so soft and snuggly, and there's no piecing involved. I'm not sure I have any ready for the discard pile, though; I need to check.